Although Shel Silverstein’s 1963 book doesn’t talk about adoption, I’m glad I read it. The story, written in a familiar, friendly first-person, tells of a young lion who didn’t run from hunters. While the rest of his pack ran for their lives, this lion waited. He met a hunter and tried to talk with him. The hunter tried to shoot him, so the lion ate him and took his gun. He learned how to shoot, and eventually attracted the attention of a circus master. The lion accepted the invitation to join the circus; he takes a new name (Lafcadio), became a celebrity, signing autographs, eating in fancy restaurants, and becoming more and more like a human. Eventually, he wears suits, trims his mane, and takes up golf. But he becomes bored with his new life. His circus manager suggests a new activity: He can go hunting. 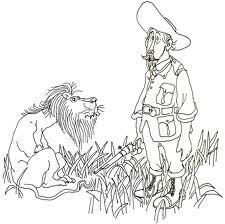 In the jungle, Lafcadio hunts lions. 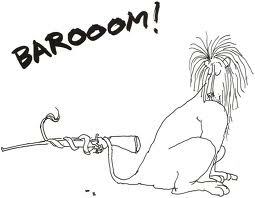 As he points his gun at one, the lion says, “Don’t I know you?” Lafcadio must then choose whether he is a lion or a man. This theme seems relevant to people adopted cross-culturally. Superman faced the same situation: his parents suggested that he couldn’t be both Kryptonian and human. 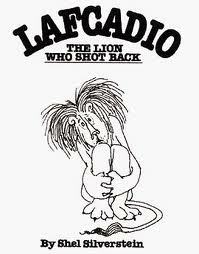 Lafcadio is told he can’t be both lion and human. Lafcadio’s decision was indecision. He walked off alone, and is not heard from again. If your young kids wouldn’t be scared by the hunting aspects of the story (hunters shoot at lions; lions eat hunters), they might enjoy this quirky book. Why did the circus master change Lafcadio’s name? When Lafcadio was confronted by lions and hunters at the end of the book, he was asked whether he was a lion or a hunter. He walked away, and suggested that he was neither. How would you have answered the question? Some people are born in one place and raised in another. Should they identify as being part of their first culture, their second culture, both, neither, or – is it really up to them? Skip it / Borrow it / Buy it? If your library has Lafcadio, it’s worth giving it a look. The question of cultural identity is an important one. Another good book along these lines is The Coffee Can Kid. Lafcadio doesn’t really talk about adoption, so there are probably more relevant books to add to your personal collection. Borrow it. You might want to check out the other Kids' Book Reviews on this site. Also, think about following Adoption at the Movies on Facebook.